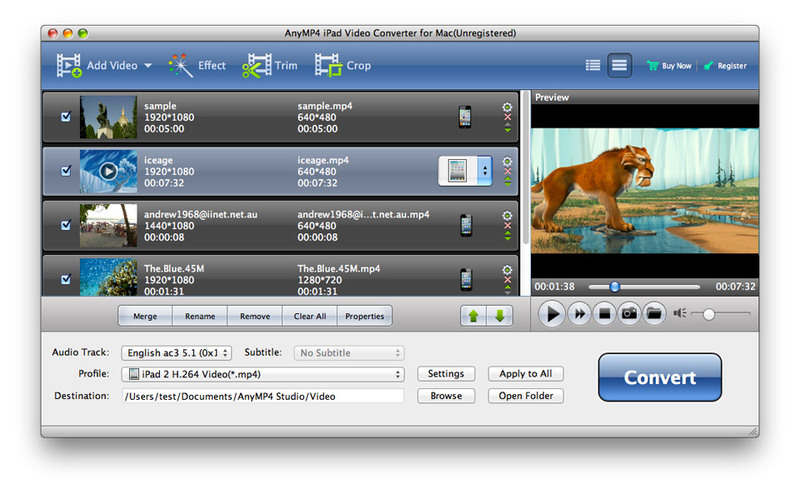 AnyMP4 iPad Video Converter for Mac can bring you a lot of surprise and great pleasure, for it is one of the most popular iPad video converting software. With it, you can rapidly convert video and audio formats to iPad MP4, M4V, MOV, etc. personalized video and audio at will and then enjoy it on your precious iPad and other Apple devices. Dicsoft DVD to WMV Converter is an easy to use DVD copying and ripping software which can copy DVD to WMV files or Window Media Video files with excellent quality. Daniusoft iTransfer is a three-in-one iPod/iPhone backup&transfer tool to transfer music and video for iPod/iPhone. It also provides you an easy way to copy and transfer music/video between PC and iPod/iPhone. You are allowed to enjoy almost all popular Blu-ray movies and general videos with the help of 4Videosoft Blu-ray Player for Mac. It lets you set the video performance as you like such as adjusting video size and selecting audio channel/device.